Mike's fifth solo studio album. Gordon sees OGOGO as a means of soaking his current life in and putting it back out again in the music. "Everything just came up serendipitously from writing the songs to finding the producer to finding the album title." Scott Murawski (guitar/vocals), Robert Walter (keyboards), John Morgan Kimock (drums) and Craig Myers (percussion) join Gordon on this record. And Murawski has been half of of the writing team for some nine years. The album was produced by GRAMMY Award winning Shawn Everett. The producer has been behind the boards for a slew of critically-lauded releases—this year alone, Everett has done work on the new albums from The War on Drugs, Grizzly Bear, Broken Social Scene and Perfume Genius, among others. Everett had a big impact on the album's sound. "A lot of Shawn's stuff is experimental but not at the expense of the groove," Gordon says. "Every instrument and every voice was recorded in a way that I've never seen before." Much of OGOGO was recorded at Q Division in Boston. "All five of us decided not to do what we had done before, but to be fresher and try to find our own voices. That started happening in a some jams... I want things to be interesting in a way that would serve the song." Download card included in Vinyl package. Nice to get within a couple days of release. Recording quality is excellent! Purple Vinyl is super cool! Just a couple awkward ballad type tunes to start then some nice funky jammers. Overall a good album but I wish Mike would stick to the Funk jams, make those tracks longer and eliminate the awkward sleeper tunes. :) This is still a nice album for any Gordon fan and likely his best studio recording &amp; mastering effort thus far. I LOVE this record...funky grooves, electronic effects, drum loops. The vocals are tight, occasionally introspective. I've been into Phish since '94 and this record is now my FAVORITE solo album! All the phat phunkiness that gets your booty shaking at the show is right here! 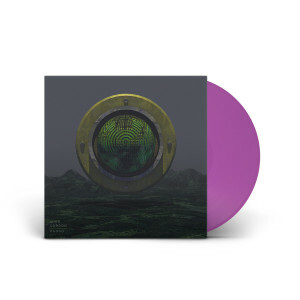 This one will repress...get it while it's purple!